Farnell has responded to customers’ need by reducing the minimum order requirement for components ordered in original manufacturer’s waffle tray packaging. 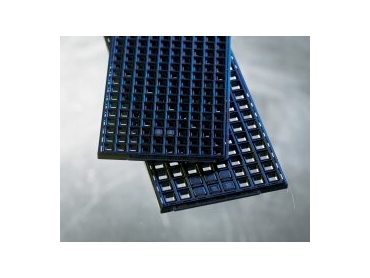 As an ideal high-service Australian distributor to offer half full manufacturer’s waffle trays in quantities relevant to small volume production, the new initiative reduces unwanted stock levels and saves customer’s money, while providing components ready for direct insertion into PCBs using pick-and-place equipment. Farnell’s ideal waffle tray initiative represents the recent in a stream of packaging ideas that have been implemented as a result of listening to the needs of its customers. Other recent initiatives in this area include Farnell’s re-reeling service, full reels, full quantity tubes for ICs, and the highly innovative, in-house developed peel packaging. Collectively, they represent a catalogue of solutions designed to offer the customer a choice of packaging that meets their requirements.